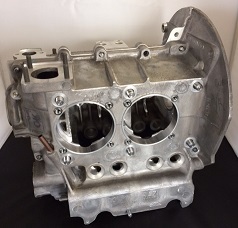 Mofoco high-performance cylinder heads will make your VW engine roar! 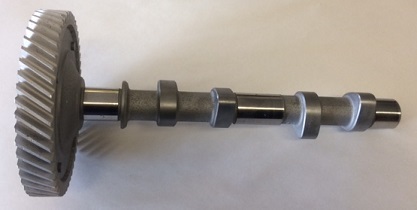 Available in 85.5/87mm, 90.5/92mm, and 94mm bore sizes. All of Mofoco's heads are cast at ECK Industries in Manitowoc, Wisconsin. Mofoco turn-key engines are the best choice for those who just want to install and drive. All assembly, testing and tuning is done at Mofoco's facility. Brand new replacement heads. 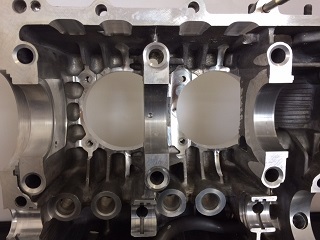 These heads meet stock spec, and are built on brand new castings. A great option if you would like stock heads, but don't want to go the rebuilt route. A longblock is a popular choice for those looking to replace just the bottom end and swap over all your existing intake, exhaust and sheet metal to make your motor complete. Our rebuilt VW transmissions come with over 30 years of experience, and no core hassle! 141 Items. Showing Items 1 thru 48. 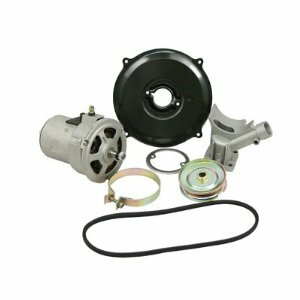 New 009 distributor is the perfect replacement for most aircooled VW engines. 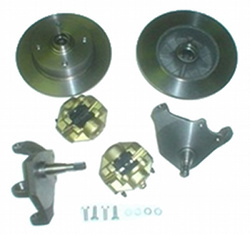 It is a centrifugal advance distributor. Comes complete with cap- rotor- points- and condenser. 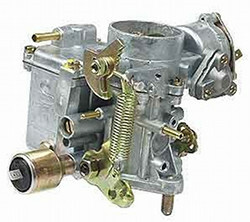 These distributors are a must whenever you plan to change to any after market carburetor kit. This is a brand new New Universal Type 1,2,3 Magnesium Case that has been CNC machined for 84mm crank clearance and bored for 90.5/92 or 94. 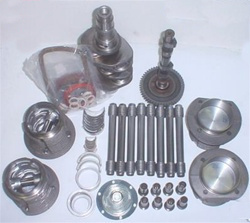 We also machine the pressure relief bores to insure no oil pressure leakage at idle and no stuck pressure relief pistons. Next, we debur all the machined edges so there is no hand work when you get it. Finally, we deep tank clean the case in our sonic cleaning machine and then blow 160lbs of air pressure through all the ports before shipping. This way, the case is ready for assembly when you get it. Mofoco inspects each case to ensure the measurements are exactly OE specifications. 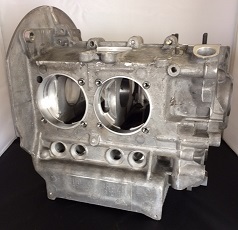 DEEP INSET NUMBER 3 CYLINDER STYLE; eliminates cracking of the engine case behind the flywheel area. Our dual port stud kits include the correct stud. 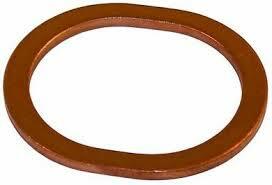 This case comes in either 90.5/92mm bore or 94mm. Please choose your size below. Compu-fire DIS-IX electronic ignition system for the 009 distributor. Fits all VW Type 1 based motors. Triple the energy of conventional electronic ignition systems with a simple bolt-on installation! Uses a stock 4 bolt dish camshaft gear which is included! MADE IN THE USA: Type 1 Hydraulic LIfters. Set of 8 Lifters Only. Never do another valve adjustment again! Fits all motors 1600cc and up. 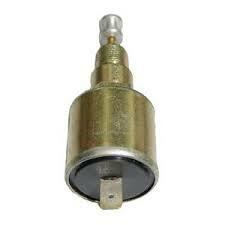 This 34 pict 3 carburetor features a 12 volt choke, and is 49 state emissions legal. Fits Type 1 Volkswagen engines. These are fully assembled Brazilian remanufactured front beam assemblies. All components have been completely inspected and replaced or reconditioned as needed. Adjustable axle beam means that you can either maintain stock vehicle height, or lower the vehicle up to two inches. Eliminate points bounce, timing changes, and experience smoother engine performance. 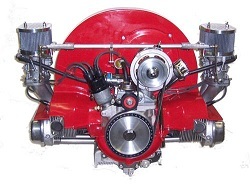 Fits all air cooled engines with a 009 distributor. Turn your tired 6 volt system into 12 volts today! Fits all VW Type 1 based engine applications. Bosch 55 amp alternator or standard replacement style? This is the longblock version of our most popular stroker motor configuration. The 2007 Outlaw Street Motor built by Mofoco to be the best street performance motor you can buy. It delivers the horsepower you are looking for, but still has the reliability you need. This is the longblock version of our most popular stroker motor configuration. The 2110 Outlaw Street Motor built by Mofoco to be the best street performance motor you can buy. It delivers the horsepower you are looking for, but still has the reliability you need. This is the longblock version of our most popular stroker motor configuration. 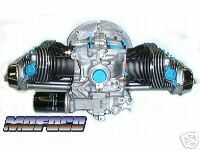 The 2165 Outlaw Street Motor built by Mofoco to be the best street performance motor you can buy. It delivers the horsepower you are looking for, but still has the reliability you need. This is the longblock version of our most popular stroker motor configuration. The 2276 Outlaw Street Motor built by Mofoco to be the best street performance motor you can buy. It delivers the horsepower you are looking for, but still has the reliability you need. Just like VW did it! 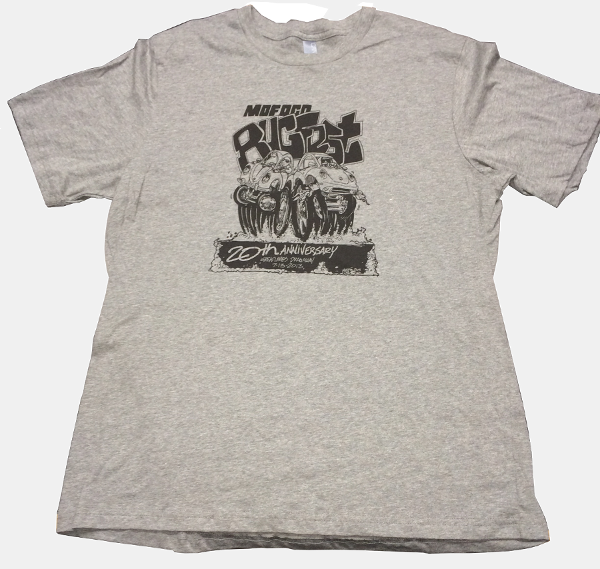 Buy a set today! Repair stripped and worn head stud threads with these blind Volkswagen case saver inserts. 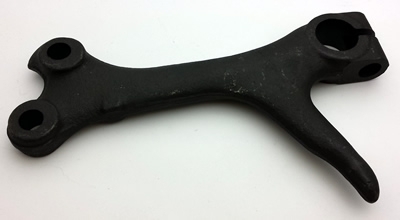 Blind inserts are designed to eliminate any potentail oil leak at the engine stud. Closed end. Repair stripped and worn head stud threads with these blind Volkswagen case saver inserts. 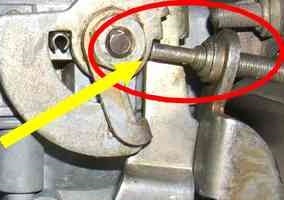 Blind inserts are designed to eliminate any potentail oil leak at the engine stud. See item page for full list of included parts. 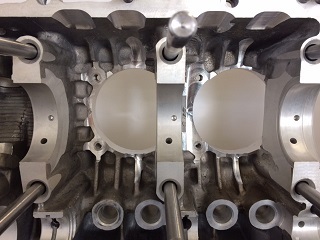 Looking for new cylinder heads to go with your engine kit? You can add specially priced MoFoCo cylinder heads to your order! Just click below and we will bore them for free ($70 value)! Fits all Ball Joint Volkswagen Type 1 except King Pin and Super Beetle. 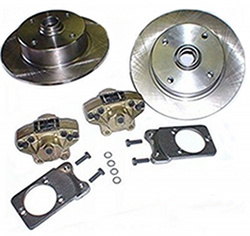 Replace your old front drum brakes with new disc brakes! Reground at MOFOCO's own machine shop with our Storm Vulcan Cam Grinder! Uses a stock 4 bolt flat camshaft gear which is included! 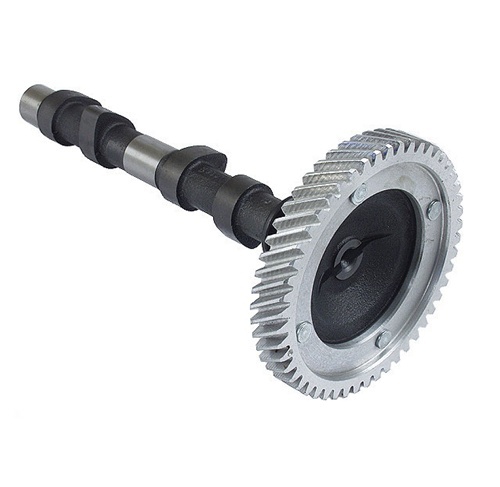 Uses a stock 3 bolt flat camshaft gear which is included! Looking for an even lighter flywheel for your Type 1? Look no further than Mofoco's 9 LB Lightened Flywheel, made from O.E. German Forged Cores. Looking for an even lighter flywheel for your Type 1? 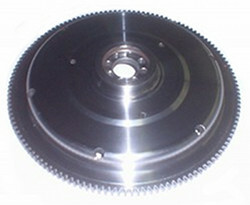 Look no further than Mofoco's 10.5 LB Lightened Flywheel, made from O.E. German Forged Cores.